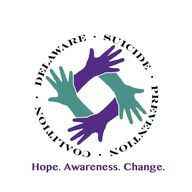 Delaware, OH – HelpLine of Delaware and Morrow Counties, Inc. (HelpLine) has received a grant from the Delaware County Foundation to support suicide prevention efforts. This award of $9,675 when added to a previous $2,400 grant from the Foundation’s Women Giving Together Fund brings the total to more than $12,000 over the last year to fund suicide prevention efforts in Delaware County. The grant will expand suicide prevention outreach to high-risk populations and includes the implementation of a spring 2018 session of the Survivors of Suicide Loss Support Group (SOSL). 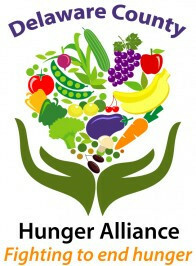 Monthly meetings for previous participants in the SOSL group will also be added to maintain connectedness while building a community of survivor support in Delaware County. HelpLine Executive Director Sue Hanson said, suicide prevention is a public health issue and providing education while promoting access to services fosters a responsive culture of support and helps to reduce the stigma associated with suicide. Suicide is the tenth leading cause of death in the United States, with an average of 123 suicides each day. In 2016, Delaware County lost 28 community members to suicide – a 130% increase from the previous year. Price said that survivors of suicide loss – someone who has lost a loved one to suicide – are at a significantly higher risk of suicide. For each suicide, it is estimated a minimum of six people are intimately affected. This means there are a minimum of 168 new survivors of suicide loss in Delaware County from 2016 alone. The grant also supports initiatives of the Delaware County Suicide Prevention Coalition (DCSPC), including this year’s Annual Suicide Prevention Walk on Saturday, Sept. 8. In its eighth year, the walk was created to increase community engagement in suicide prevention and to support all of those touched by suicide – including loss survivors, those who have attempted suicide and survived, those who are currently depressed and/or suicidal, and the friends and family of those who struggle. For more information or to get involved in suicide prevention efforts, contact Michelle Price at mprice@helplinedelmor.org or 740.363.1835. If you or someone you know needs help, contact our 24/7 support and information line at 1.800.684.2324 or text helpline to 898211. 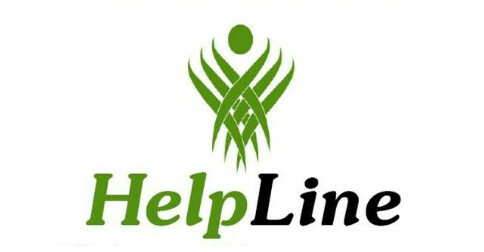 HelpLine is a private, non-profit organization that provides 24-hour, crisis, support, & information about community services via hotline and texting; sexual assault advocacy; suicide and violence prevention education; and a volunteer center. Committed to connecting people to knowledge, support, and resources, HelpLine facilitates stability and self-sufficiency through linkage to services, crisis management, and mental health related and violence prevention education. HelpLine is a contract provider of the Delaware-Morrow Mental Health and Recovery Services Board and partially funded by SourcePoint. A United Way Partner, HelpLine is accredited by the American Association of Suicidology, National Alliance of Information & Referral Systems and certified by the Ohio Department of Mental Health and Addiction Services. For more information, please visit: www.HelpLinedelmor.org. The Delaware County Foundation strengthens our communities by connecting people through charitable giving. The Foundation helps donors enhance the quality of life throughout the county. Gifts and bequests to the Foundation help meet the county’s growing needs by creating a permanent endowment for the future. 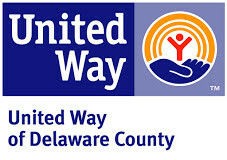 Since 1995, the Foundation has distributed more than $13 million in charitable dollars throughout Delaware County.